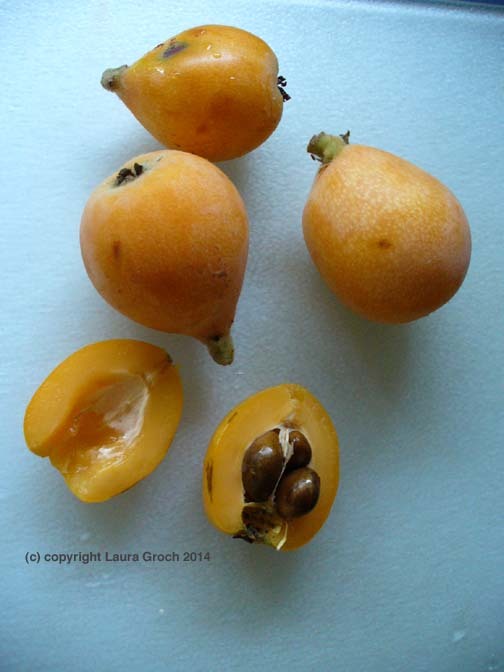 A community church group was selling loquats recently, five yellow, larger-than-a-grape-but-smaller-than-an-apricot fruits for a dollar. So I took home a bag. Not everyone who mothers you is a mom, but they deserve saluting today too. Pictured: Mom, me and my godmother/aunt Rita. 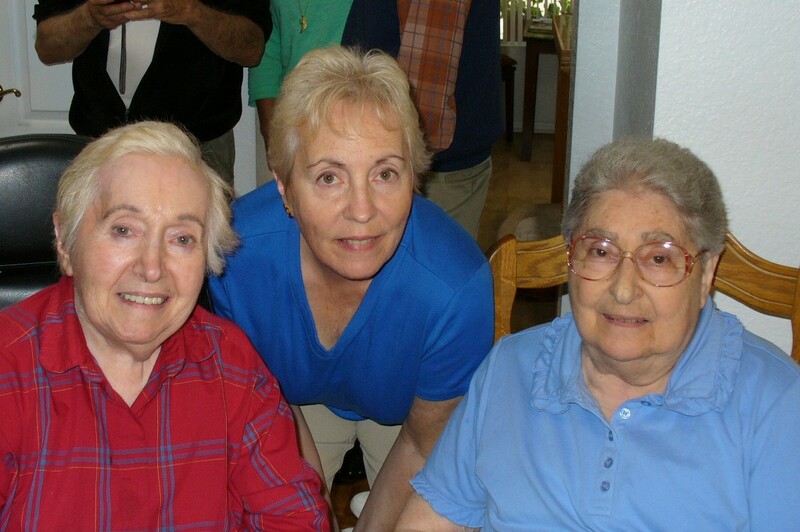 Happy Mother’s Day: Mom, me and my godmother/aunt Rita. Yes, today is Mother’s Day. You all know what to do about that, I hope. ;<) I’d like to also salute those women who were stand-ins or surrogates or subs or whatever to us. We’ve all had them in our lives: aunts, sisters, cousins, godmothers, neighbors, co-workers, neighbors, friends’ moms, teachers, etc. Not all of them are mothers, but they each serve that role in a small or large way. Give them a thought, a prayer, or if they’re still with you, a call or email. If they’ve been like moms to you, please include them in this day, too. And to all of you reading, I wish you a Happy Mother’s Day. 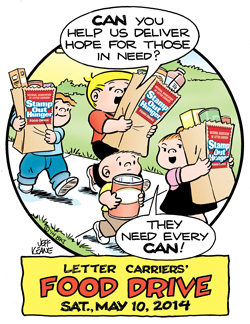 Lots of causes this weekend, and Mother’s Day too! I make a lot of sandwiches, and a lot of salads. 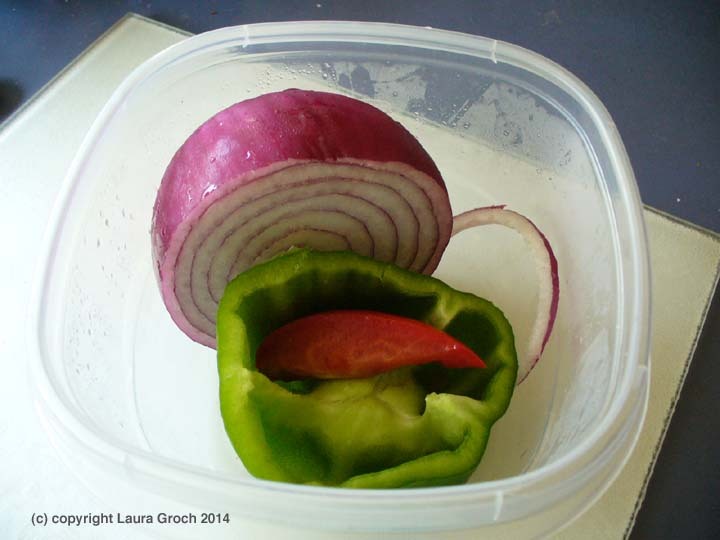 Besides your basic greens, I add a lot of veggies to both: onions, carrots, tomatoes, peppers, cucumbers, radishes. I was forever searching in my fridge for each ingredient, which I had thoughtfully stored in its own little ex-cream cheese or hummus or butter tub. 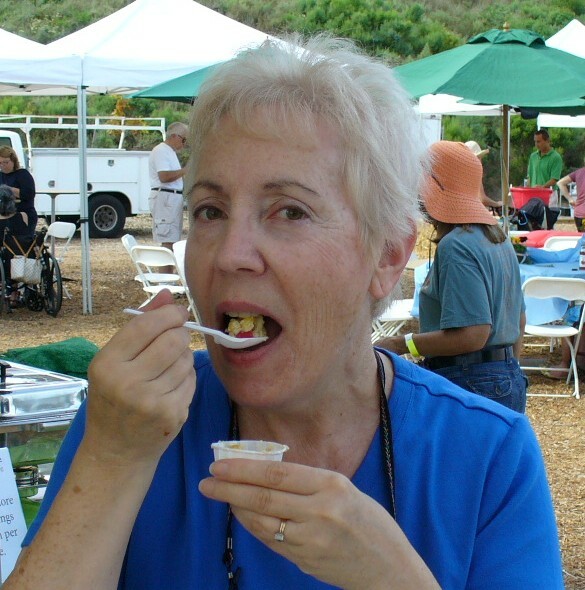 Murrieta, CA, author Linda J. Amendt’s book on gluten-free breakfasts recently won two awards. The winners of the CLIF Bar giveaway held in March 2014 were Pam W. of Escondido, Karen B. of New Albany, IN, and Leah S. of Minneapolis. Each one received a box of CLIF bars for posting a comment at the contest page on my blog, http://www.beyondbites.com. Keep watching for the next giveaway, as you might be a winner!